PASSIONATELY MADE BY HAND IN LOS ANGELES, CA. 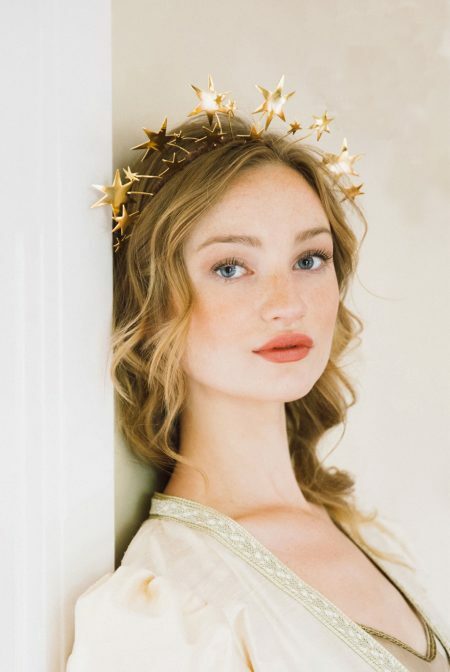 Erica Elizabeth Designs is a hair accessory studio that creates headpieces and veils made by hand as a revival of traditional artist craftsmanship. It is believed among creatives and artist that this ideal can add beauty to a world of increasing mass industry and technology. Spellbound Collection Spring 2019. 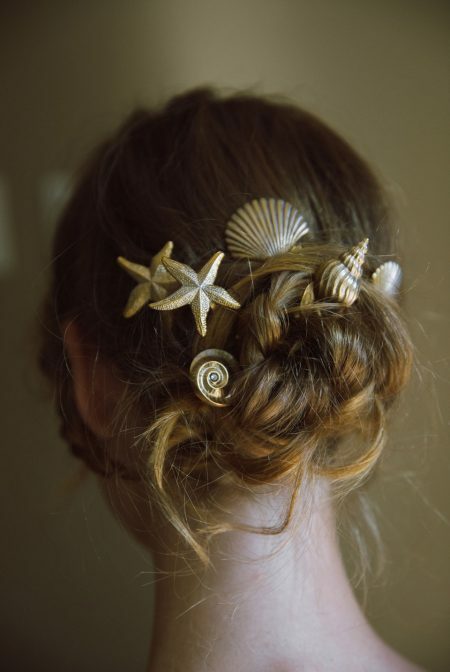 Magical headdresses, veils & hair accessories for beings whose souls are stronger than the oceans embrace. The light poured thickly down from the heavens above, coating us with brilliant golden stars. Capella Star Crown. Erica Elizabeth Designs bridal veils are an intoxicating homage to feminine beauty and breathtakingly elegance. Interview with VoyageLA Magazine LA’s most inspiring Los Angeles stories.